Sources say the 58 year old [Limbaugh was suffering chest pains before an ambulance arrived at the hotel. 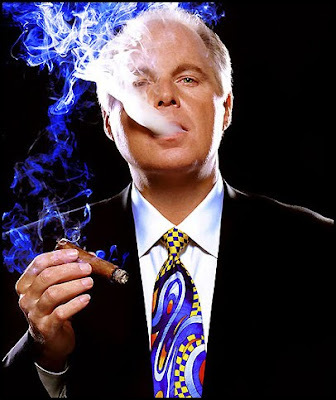 Honolulu’s Emergency Services Department confirmed a male fitting Limbaugh’s description was taken from the hotel in serious condition. As an avid golfer Limbaugh travels to Hawaii just about every year and earlier this week was seen in Kona on the Big Island and at the Waialae Country Club on Oahu. LSB: Would it be wrong to emulate Republican Sen. Tom Coburn and pray that Limbaugh won't be making his assinine comments anytime in the future? 55 missed TARP payments in October?